Our goals as breeders go far and beyond producing great family pets. The Australian Labradoodle remains a young and developing breed, and there is a lot of work yet to be done. One of our key beliefs is that to avoid falling down the slippery slope that many Kennel Club recognised breeds have done before, we need to outcross, maintain a wide gene pool and develop new Australian Labradoodle lines. For us to achieve our breed development goals, we need to have a number of dogs in our programme - more than we have the space for in our home, and as Australian Labradoodles are so social and people oriented, they don't do well in kennels. Our Family Care Home Programme provides the solution - it enables our dogs to live with selected local families, and still participate in our breeding programme. It also means that we are breeding great family pets, from great family pets! Our Family Care Homes dogs essentially have two homes. They live with their family for the vast majority of the time, but Lomond Hills is very much their second home! They come to stay with us for several short periods throughout the year to ensure that they are happy, comfortable and content at Lomond Hills. We maintain a very close relationship with them to ensure that they are relaxed when they are here for breeding and raising their puppies. Our families keep in very close contact with us and they follow certain guidelines with regard to diet, exercise and grooming, for example. 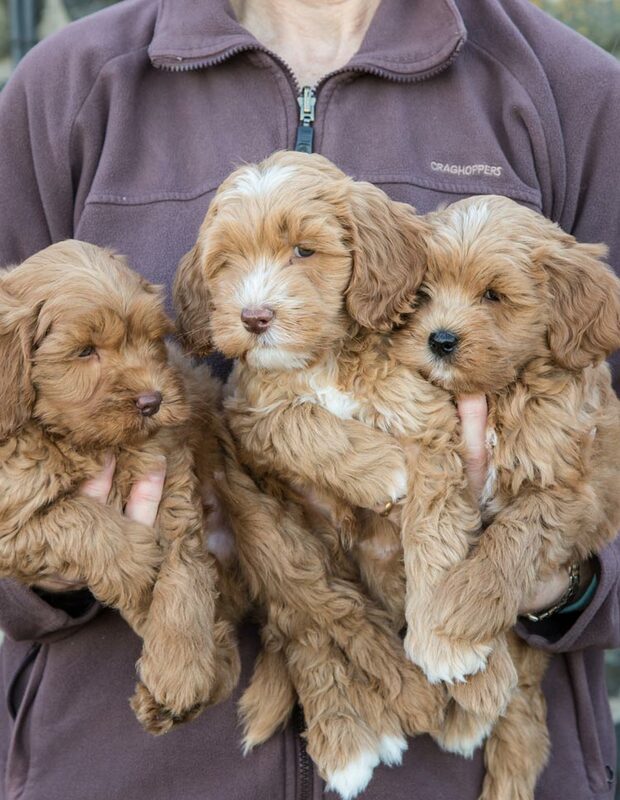 This programme is excellent for families who have the love and time to devote to the care of one of our Australian Labradoodles, but perhaps cannot afford to buy a puppy in the usual manner. It is also a very good route to take if you and your family would like your Australian Labradoodle to have puppies, but have no experience in animal husbandry, or don't have the time to devote to raising a litter. As opposed to paying full price for a pet puppy, you take on a 'pick of litter' puppy, chosen by us, at a significantly discounted price. In legal terms, the dog remains under our ownership, but the family care home is expected to treat the dog as their own to a large extent. We lay out some guidelines as regards feeding, health care and grooming which must be followed. Once the puppy matures, we conduct the required health screening and they join our breeding programme. The girls have up to three or four litters and the boys tend to have stud duties until they are around five years old. When breeding is complete, they are neutered and ownership is signed over to the family meaning that our breeding dogs never have to be re-homed. If you would like more information about our Family Care Home Programme, please get in touch.